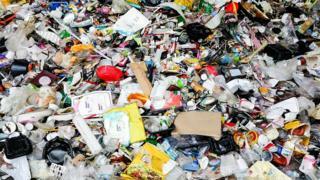 A household rubbish tip's opening hours are to be reduced. From December, the Rhydenion household waste site, near Llanarth in Ceredigion will only be open on Wednesday, Saturday and Sunday. Ceredigion Council decided that the site should be kept open, but with reduced opening hours. Ceredigion Cabinet member Dafydd Edwards said that "it made sense to reduce the hours". Mr Edwards added: "We have to look at how much money we will save, and every penny does count. Half a million pounds needs to be saved from the waste budget. These savings in Llanarth are only minimal, but they do help." Ceredigion Council currently have four household waste sites - which is more than the statutory requirement. The sites are located in Cardigan, Aberystwyth, Lampeter and Llanarth.